EarthCaching is a fun, interactive way to learn more about interesting geological features locally, nationally, and virtually. Through this process, people use observational skills and critical thinking to guide individualized learning in a variety of environments. For International EarthCaching Day, the STEM Center has developed five EarthCaches that will help you explore the geology of southwest Illinois, as well as one virtual EarthCache. To celebrate International EarthCaching Day, we are offering geocoins to the first 100 people to complete at least five of the six EarthCaches below. Submit completed pdfs to stemcache at gmail.com or use the online google forms. More information about EarthCaching can be found at this link. This project is supported by the National Science Foundation. Explore the EarthCaches below. The first 100 people to complete 5 of the 6 EarthCaches will receive our 2018 commemorative geocoin. Here you will get to see two different sinkholes within the Nature Institute in Godfrey, Illinois. This site is full of opportunities to explore beyond the EarthCache. Keep in mind this site is closed from December 1st through March 31st (38.9180764°, -90.2238582°). This site takes you to a beautiful park that faces the Mississippi River. 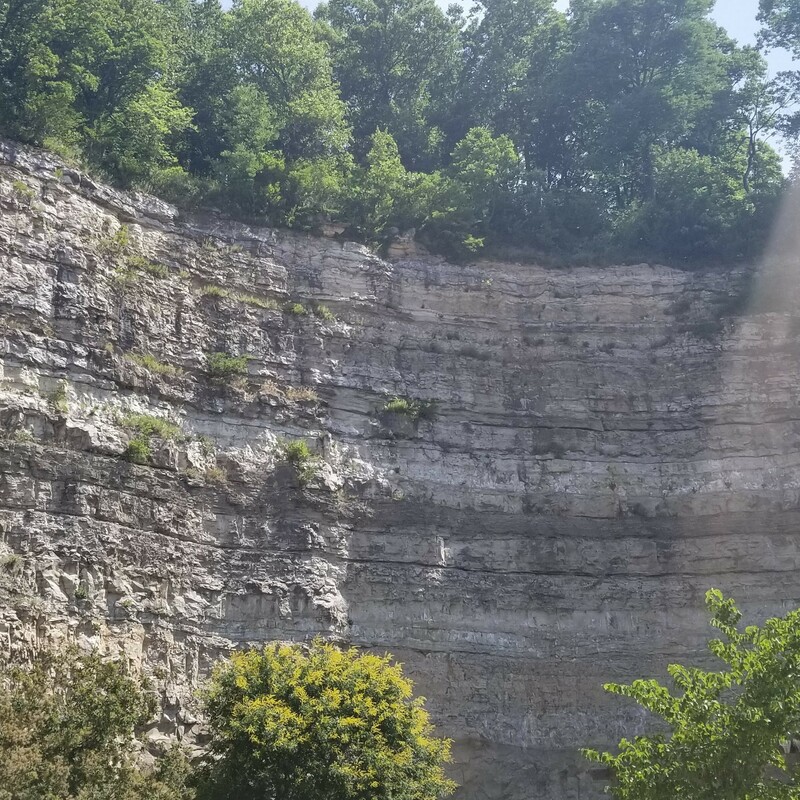 You will get to stand at the bottom of a large bluff and explore how bluffs let us get a glimpse into this area’s geologic past (38.915312°, -90.226473°). In this public park, you will get the opportunity to learn about Glen Carbon’s coal mining industry. This park is located near downtown Glen Carbon and provides a beautiful place to picnic or play (38.752075°, -89.980603°). On SIUE’s campus, a grave marker sits at the top of a hill where you can learn more about the water cycle. While this site takes you to the top of a hill, a more accessible option is provided in the EarthCache (38.78910°, -90.00925°). From the north edge of campus you will be able to view the landfill growing a couple miles away. This site is most exciting on weekdays when there is activity on the landfill (38.813333°, -89.993333°). This virtual EarthCache will take you on a trip exploring Elephant Rocks State Park in Missouri. For this EarthCache, you will need to download Google Earth to get the full learning experience.